Take a look at our June mystery object. The match box alongside it will give you a clue to its dimensions. 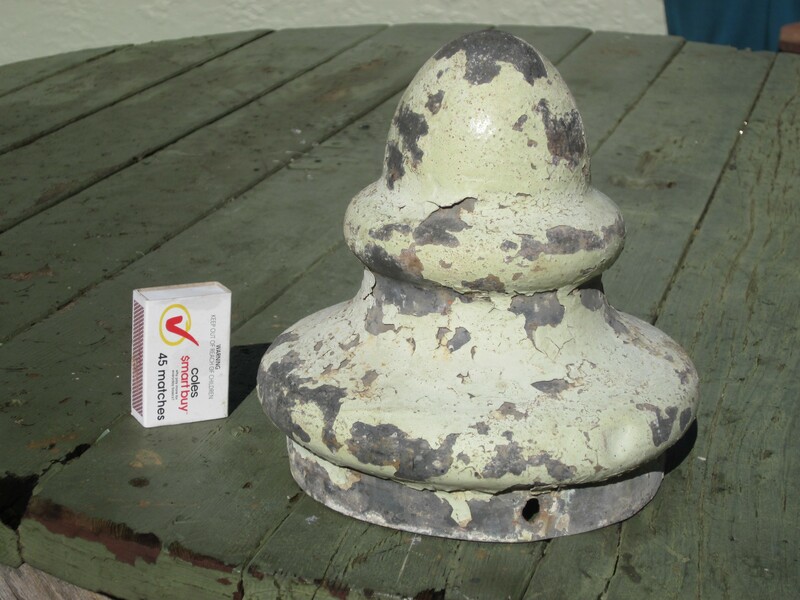 This object was found in Berowra in the early 70’s. No more clues. Have a go at working out what it is. Good luck! I have changed my opinion.Is it the capping off a Berowra sign off the station? Some good guesses – make sure to check back next week to find out the answer!